This week on the Secret Library, local history Librarian, Antony Ramm, brings you three of his favourite stories from Leeds’ rich pantomime tradition. Oh yes he does! 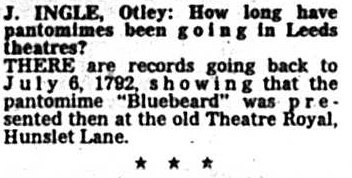 In May of 1986, J. Ingle of Otley wrote to the Yorkshire Evening Post to ask how long pantomimes had been taking place in Leeds – and was told that “records” suggested a performance of ‘Bluebeard’ took place at The Theatre on Hunslet Lane in 1792. Which records this information was found in was not made clear, but it’s quite likely that it was the papers of local historian Alf Mattison. Mattison – known affectionately to colleagues in the City’s Tramways as ‘Old Leeds’ – was interested in almost every aspect of Leeds and its past, but especially the theatre of the 18th and 19th-centuries. 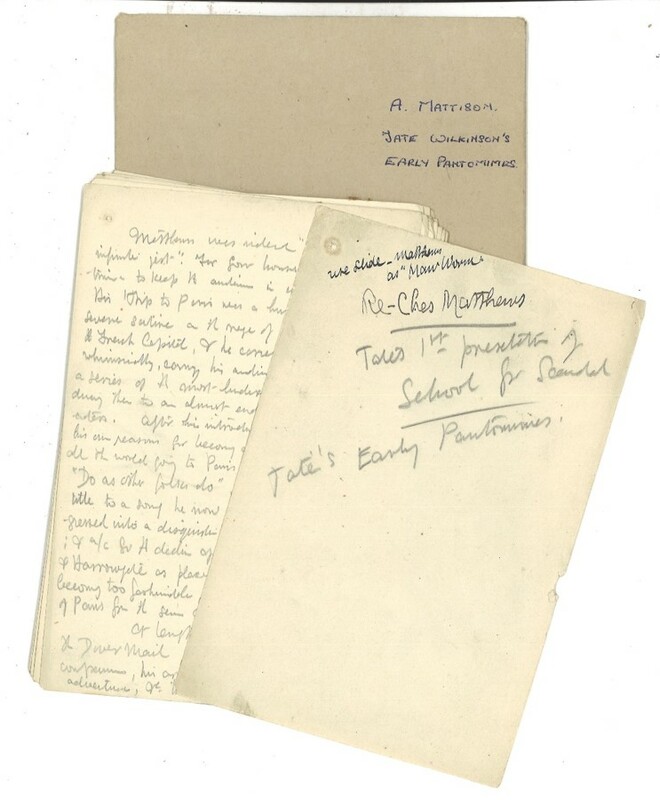 Among many other writings donated to Leeds Central Library upon Mattison’s death in 1944 were four boxes of notes, two manuscript books and several sketches for new material on that very subject. That last category includes an envelope entitled ‘Tate Wilkinson’s early pantomimes’ – a vital source for anyone interested in the formative days of the panto in Leeds, and a possible source for the 1792 date. You can find digitised copies of many early pantomime and other theatrical playbills on our Playbills website, part of our Leodis archive (where you will also see some photography by Alf Mattison). The ‘Bluebeard’ and Leeds-pantomime connection doesn’t end there, however. While it may not have been the first-ever panto in the town, it was certainly the first at the most prestigious theatre of its day: the Grand Theatre on New Briggate. The early management team of the Grand – including Wilson Barrett, Lee Anderson and Henry Hastings – clearly knew the appeal of the pantomime to the people of Leeds, as they were able to stage one just a few weeks after opening in November 1878, a performance which competed with yet another local showing of ‘Bluebeard’, this time at the Theatre Royal in King Charles’ Croft. While both shows were considered equally proficient in their early days, by February of the following year, it was clear that the Grand’s was the more popular – 200 people were turned away on the last weekend of January, 1879, according to one report. 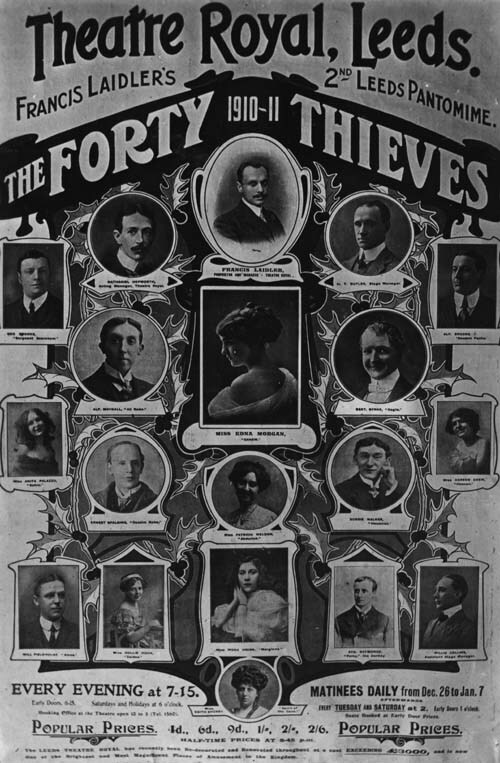 The Theatre Royal wasn’t to be dissuaded, however, and – under the direction of Francis Laidler – would enjoy huge success in pantomimes through the first-half of the 20th-century, including a 1910-11 performance of ‘The Forty Thieves’. 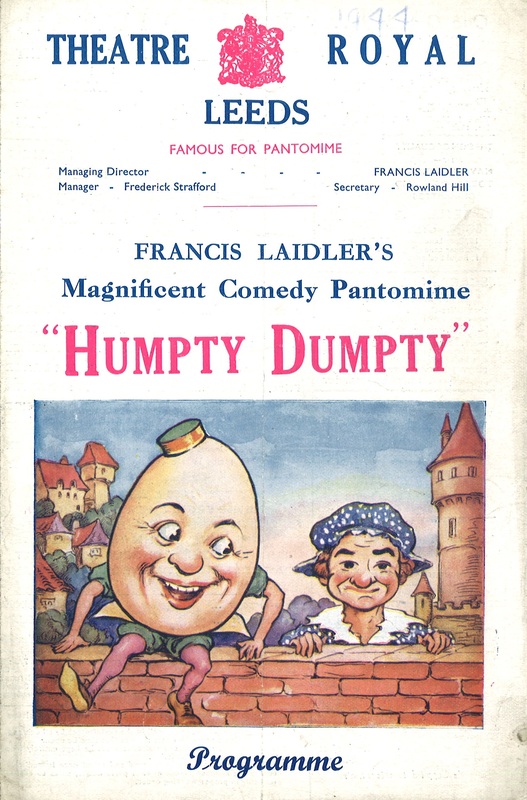 And, as another reader of the Yorkshire Evening Post discovered (also in 1986, this time in October), the Theatre Royal would, for a period, host “the longest running panto in England for a hundred years”: a showing of ‘Humpty Dumpty’ that lasted from Christmas of 1944 through to Whitsuntide of 1945 – a full 22-weeks. 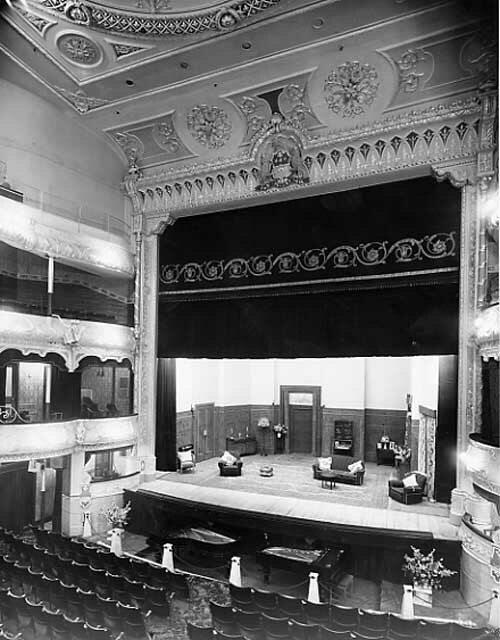 The Theatre Royal’s connection with pantomimes continued until the 1950s, when the final performance was given: the pantomime ‘Queen of Hearts’. That was in 1956; around this time Francis Laidler died and the theatre was taken over by his wife, who was eventually forced to sell the venue to Schofields. The retailer demolished it – along with other sites of significant local heritage and memory – and built in its place a Furniture Centre; a moment, perhaps, marking the slow shift away from an older, and now almost-completely lost, version of Leeds, toward the modern city we know today.